As spring tiptoes its way into the year you’ll want to throw open your doors and invite nature into your home. And what better way to celebrate all things natural than to install a beautiful wood floor. Flooring in the living areas of our homes has a pretty tough job, having to endure the wear and tear of foot traffic, muddy boots and spilt liquids. So, it’s a good idea to choose a material that is practical and hardwearing while still looking good. And while wood is beautiful and compliments almost any style of décor, it has its practical drawbacks – it can damage, stain, warp or rot – and for a product that is not cheap to install, this isn’t something you’ll want to deal with on a regular basis. If you like the idea of using real wood floor because of its time-worn lived-in look, then our Chesil range is one you’ll want to consider. These porcelain tiles come with the worn look already incorporated into the design, so there’ll be no waiting for years for your floor to look lived in. 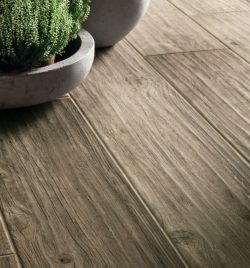 These tiles are available in four different colours too, each with their own unique combination of shades and tones, and with each plank alive with the grains and knots of real wood. The Lexington tile looks so good you’ll want to sell your furniture. 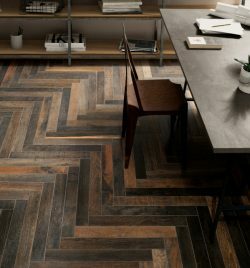 Again, the design of these tiles in so superb with its realistic grains and knots, you’ll find that visitors will have trouble distinguishing it from real wood. And with all of our wood-effect tiles there is no maintenance involved so they will continue to look stunning, and will turn your space into a comfortable and stylish platform from which to view the surrounding nature. All of our ranges of wood-effect floor tiles use the latest technology to recreate the beauty of real wood, which makes any space feel vibrant and natural, but without the maintenance needed. 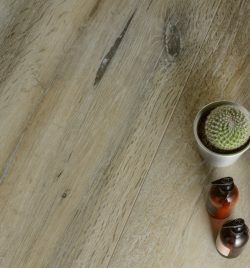 Take a look at our full range of wood-effect tiles to be inspired.